It doesn’t significantly impact the rate of new Page Likes. 95% of Pages who’ve switched have seen more Likes of their posts and people talking about them according to a study that social marketing platform Wildfire gave TechCrunch an early look at. Only megabrands with over 10 million Likes have seen reduced engagement, but this was in part due to a lull following press exposure during the Timeline launch. A study by enterprise marketing platform Hearsay Social shows local business Pages with fewer fans get 5x more exposure in the news feed, and 8x more of the fans reached will engage with a post. That means big brands with lots of local branches can get 40x the engagement by having a Page for each store. In the first week after Timeline for Pages launched 8 million Pages voluntarily switched over, but limited early data showed the migration significantly reduced the rate at which big pages were gaining fans. Fan growth rate was only down between 0.02% and 0.06%, which is essentially insignificant. That’s no win for Facebook’s design team but at least growth didn’t plummet. Small Pages with under 1 million fans are seeing engagement soar. People Talking About This, a measure of total mentions of a brand, is up 67.4%, comments per post is up 40%, and Likes Per Post is up 60.3%. Middle to large Pages with 1 million to 10 million fans are also doing alright with People Talking About This up 28.858, Likes per post up 13.56%, though comments per post is down 17.43%. Study by social marketing platform Vitrue of a dozen mid-size Pages including Harley Davidson showed that their posts received 38% more likes and 3.5% more comments after launching Timeline. The switch to Timeline shouldn’t necessarily have such a big impact on the engagement with posts which are predominantly viewed through the news feed. There are few possible reasons for this. 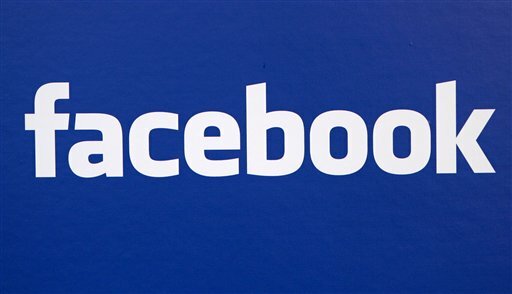 Facebook may have artificially ratcheted up the news feed visibility of Pages who’ve switched. The launch of Timeline for Pages may have led businesses to concentrate more on Facebook marketing and publish higher quality posts. Those users visiting Page Timelines may be leaving significantly more Likes and remember the Page more leading to additional mentions. Megabrand Pages with over 10 million fans (think Michael Jackson, Coca Cola, Disney, and MTV) faired worse after Timeline. PTAT was down 13.72%, comments per post down 16.72%, and Likes per post down 11.57%. This data was confounded, though, as all 7 of these Pages that Wildfire studied were promoted by Facebook in press around the launch of Timeline, and saw rapid returns to pre-press engagement levels that looked like declines.